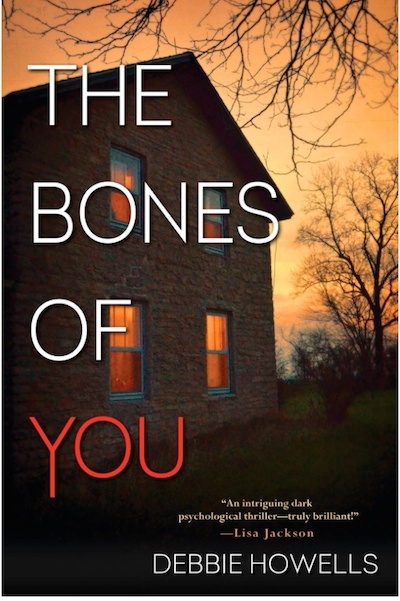 The Bones of You channels a popular mystery that came before it, The Lovely Bones, in both title and narrative style. When Jo’s daughter Rosie goes missing, neighbor Kate steps in to provide comfort. When Rosie’s body is found, and news of foul play emerges, Kate finds herself becoming more enmeshed with the Anderson family during their time of grief: beautiful, trim housewife Jo; her newscaster husband, Neal; and their surviving timid daughter Delphine. The story is told not only through Kate’s eyes but also through Rosie’s, who is now all-seeing in some heavenly afterlife. What Kate couldn’t know about the Anderson family because she sees only their perfect kitchen, breath-taking garden, and stylish clothes, Rosie reveals in an angelic mash of memories. Behind closed doors, the family is falling apart. Rosie reveals a mess of abuse and suffering that may or may not have led to Rosie’s death. The Bones of You is compulsively readable, and fans of The Lovely Bones will appreciate the nod to its narrative style. I enjoy a book where the clues are discovered rather than revealed through narration, so this omniscient angel-esque narration style isn’t my favorite. In spite of that, I read it in a few days, and was always eager to get back to it and settle in with its eerie atmosphere. Get your (patriotic) snacks and settle in, once you start this one you won’t come up for air until you’ve finished.